A proposed consumer bailout of FirstEnergy Solutions and its two northern Ohio nuclear power plants would provide the company nearly $150 million per year while also offering millions to other zero-carbon-emissions power generation in the state. Backers of the bill stressed that, overall, residential and business customers users would pay less per month in surcharges because the proposal will do away with the state’s current charges for alternative energy and efficiency mandates. Instead of mandates, Householder said the new Ohio Clean Air Program would offer companies $9.25 for every megawatt hour of zero-carbon electricity. The state’s two nuclear power plants, Davis-Besse in Ottawa County and the Perry plant in Lake County, generate about 16 million megawatt hours each year, qualifying them for $148 million of the estimated $300 million that the new surcharges would generate annually. The two nuclear plants generate about 90 percent of the zero-carbon electricity in Ohio, a Householder policy official said. Solar, wind, hydro or other zero-carbon power producers also would be eligible for the $9.25 credits. The bill will not address Ohio’s wind farm setback rules that green energy advocates say hinder the development of wind power generation in the state. Householder downplayed the impact on FirstEnergy and its nuclear plants, though he has called it a mistake to allow the plants to close. He said he focused on goals of encouraging Ohio power generation, incentivizing cleaner air, and helping create and maintain Ohio energy and industrial jobs. The program would be operated by the Ohio Air Quality Development Authority, which, under the plan, also would be encouraged to develop a new emissions reduction program that would allow some gas and coal-fired plants to also qualify for subsidies if they lower emissions. Details of that program are not yet developed. But Trish Demeter, vice-president of energy policy with the Ohio Environmental Council Action Fund, said she rejects that the bill is for the benefit of cleaner air. “The bill announced today is nothing more than another bailout tax for failing nuclear plants paid for on the backs of hardworking Ohioans,” she said. “Adding insult to injury, the proposed bill would dismantle one of the only state policies that reliably deliver electric bill savings to customers, decrease air pollution, and create new jobs in Ohio. 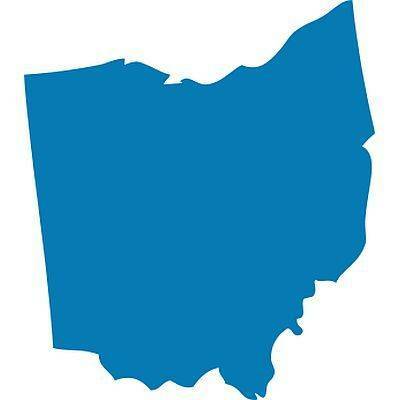 Stu Bresler, senior vice president of operations and markets for PJM Interconnection, which coordinates the movement of wholesale electricity in all or parts of 13 states, including Ohio, told lawmakers this week that deactivating Ohio’s nuclear plants “is not expected to adversely impact the reliability” of the system. To deal with the closures, Bresler said PJM would make upgrades and request plant output adjustments. The total cost of the upgrades to Ohio ratepayers, he said, is about $24 million. In 2018, nuclear made up 11 percent of electricity generated in Ohio, according to PJM, compared to 33 percent for coal, 25 percent for natural gas and 1 percent for wind. Another 6 percent was from miscellaneous sources and the remaining 24 percent was imported. Subsidies, he said, could increase costs upward of $3.8 billion across PJM’s territory. Lee Davis, CEO of Lightstone Generation, which in January 2017 spent $2.2 billion on two natural gas power plants and one coal plant in southern Ohio, urged lawmakers this week to reject nuclear subsidies. Householder said the $2.50 monthly residential surcharge under the Clean Air plan would be $1.89 less than what residents are currently paying for mandates on their electric bills. The monthly surcharge would be $20 for commercial customers (19 percent less), $250 for industrial (20 percent less) and $2,500 for very large users (89 percent less).